THERE COMES A TIME WHEN YOU MAY NEED ADDITIONAL PERSONAL ASSISTANCE, and our services are here whenever you may need them. 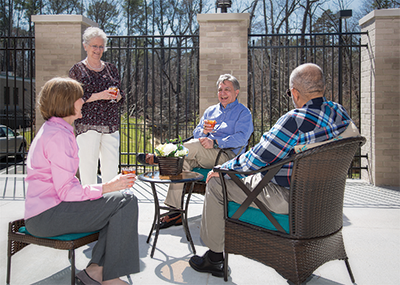 Life at The Huntington provides the best of both worlds; we combine the security of health care services programs with all the advantages of apartment living. Whether it is spending your days socializing with friends, enjoying views of the Mariners’ Museum Park, or exercising in our wellness center, our team is dedicated to assist you in living life to the fullest. You can start a new adventure when you move to The Huntington. Your adventure may be filled with an abundance of activities and entertainment, trying new games or hobbies or enjoying the serenity, comfort and security of your new home. You can count on our knowledgeable, professional and friendly staff to provide support services and personal attention to ensure your life is worry-free and relaxing as possible.